It’s an unfortunate reality that most people in western culture still consider oatmeal a healthy way to start the day. In today’s discussion, we are going to dive into what foods undermine our ability to navigate to greater oral health. More importantly, by the end of today’s discussion, you’ll understand WHY these foods directly undermine our ability to create positive change in our oral health. We have found that it’s one thing if someone has a list of foods to eat and not to eat. But when we really understand why a food causes problems, we’re much more able to take ownership of that information and apply it in our lives to create positive change. To start today, let’s learn from the work of Drs. Edward and May Mellanby. The Mellanby’s were doctors in the UK in the 1930s and 40s. Dr. Mellanby is credited with the discovery of vitamin D, which you know from our article, “What foods support our oral health?” is an important component to health. Vitamin D plays a crucial role in the development and repair of healthy bone tissue including teeth. Do you remember in our article that details the primary cause of tooth decay how we discussed the role of blood phosphorus in maintaining the healthy flow of dentinal fluid through the teeth? This is really crucial in today’s discussion of what not to eat because these foods we’ll cover today directly disrupt the balance of phosphorus in the blood. If you haven’t read these two articles, we encourage you to consider reading these articles from the beginning as the material really does build upon one another. Here’s a link to article one in this series, why teeth decay (and how we can stop it). Here’s a link to article two, what TO eat to navigate to greater oral health. So, the Mellanby’s discovered vitamin D and made the connection between vitamin D deficiency and the disruption of the body in maintaining healthy bone tissue. They also were very interested in the role of phytic acid found in foods. Here’s a quote from Dr. Mellanby’s book to explain what phytic acid is. So, what foods are high in phytic acid? It turns out that we really want to watch the amount of grains, seeds, nuts and legumes we consume as eating a diet heavy in these foods that contain high phytic acid content will directly undermine our efforts to create greater oral health. Eating lots of grains will function as an ‘anti-nutrient’ in the body by lowering our blood phosphorus levels AND blocking our body’s ability to absorb the other necessary minerals in our diet. To test their theory, the Mellanby’s conducted a study with children with existing cavities. They wanted to see if they could reverse the existing decay applying the information they had gathered around the importance of vitamin D and eating foods high in phytic acid. So they organized 62 children up to age 6 into 3 groups and ran the study over the course of 6 months. In group 1, they had the children eat a regular diet plus oatmeal (which is high in phytic acid). And group 3, the children ate a diet very low in phytic acid containing foods plus supplemented vitamin D. Interestingly, this third group didn’t eat a perfect diet in our eyes. Here’s another quote from Dr. Mellanby on the diet of this third group of children. They tested the children before and after the 6 month period checking for both existing cavities that got worse, new cavities formed and existing cavities that had hardened, showing signs of healing the cavity. Group 2, the children who ate a regular diet with no added phytic acid and supplemented vitamin D, for every 1 new cavity had 4 existing cavities that were hardening! Group 3, the kids who ate a low phytic acid diet plus supplemented vitamin D saw the highest improvement. They experienced for every 1 new cavity, 15 existing cavities healing. Let’s recap the results of this study. All the kids had existing cavities at the beginning. And in 6 months time, the ones who ate a less than ideal diet (group 1) had lots more and the ones who ate a diet low in phytic acid plus vitamin D (group 3) had much fewer cavities! This is actually really good news because simply by having our vitamin D levels tested and bringing them to an optimal level, we can really make great strides in navigating not only to greater oral health but whole system health as well! If we simply add plenty of quality butter to a decent diet and supplemental vitamin D, we definitely provide our bodies more of the nutrition necessary to create positive change in our oral health! So, with this piece of the puzzle in place, let’s turn our attention to the other damaging food that our culture consumes in staggering amounts. Yeah, you already know it… Sugar. We could write a series of articles on the damaging effects of consuming sugar and perhaps one day we will. For now, let’s focus on how eating sugar impacts our oral health. To do this, we’ll go back to the work of Dr Ralph Steinman and his incredible work with dentinal fluid flow. In a series of tests, Dr. Steinman conducted, he wanted to determine if sugar was the cause of decay because of the sugar in the mouth causing fermentation of sugars resulting in acids which eat enamel or was some other mechanism involved. Incidentally, that’s pretty much the conventional understanding of the cause of decay these days, sugars from foods sitting on the teeth that ferment and cause a proliferation of bad bugs which cause decay. We will see that although this theory does play a role which is why it’s still wise to brush your teeth, Dr. Steinman proved that other factors are involved with decay. Here’s what he did. He fed rats a sugar-rich diet directly into their stomachs to bypass their mouths having contact with the sugars. They developed decay at the same rate as rats who were fed the same sugar-rich diet through the mouth. How is that possible? Well, what Dr. Steinman found is that sugar directly suppresses blood phosphorus levels. Do you remember the blood chemistry teeter totter with phosphorus on one side and calcium, glucose, cholesterol and triglyceride on the other? Well, if glucose, that’s sugar, goes up in the blood, that’s going to directly drive down phosphorus in the blood. Consistent low blood phosphorus results in a reverse of dentinal fluid flow which promotes tooth decay! So, before we wrap up today’s session, let’s pick some gems out that you can apply in your life today. First, if you are going to eat something sweet, eat it with quality healthy fats like coconut oil or our favorite, pastured butter, to slow the absorption of sugar into the bloodstream. By slowing the absorption of sugar into the system, the impact on phosphorus in the blood is less dramatic. Second, Dr. Steinman’s work also showed us that the absolute worst way to eat sweet foods is how so many people do every day. … Grazing on little amounts of sweet foods through the day particularly between meals. For example, sipping sodas, sweetened coffee or tea drinks, anything that is sugary that you essentially drip into your system day in and day out. In this way, the body’s blood sugar is constantly higher than is ideal and therefore the blood phosphorus level is never above that critical threshold to allow for a healthy flow of fluid through the teeth. Incidentally, what I find very helpful when I feel the need to wrestle my own sugar demon into submission is to strictly limit any consumption of sweet foods to one day per week. In this way, you give your body 6 days to function in a healthier way giving it the opportunity to stay on top of any oral health issues that it’s currently dealing with. An added benefit to this 1 day of sweet foods is it gives our taste buds the chance to recalibrate to what sweet tastes like so we don’t crave it as much. I recall one time many years ago when Susan and I chose to ‘push the reset button’ on our sugar consumption and completely eliminated all sugars from our diets for 3 weeks (all fruits too). When we completed this sugar fast, eating a whole apple was just too much sweet for one sitting! When you can’t finish an apple for a snack, that’s when you know your taste buds have ‘recalibrated’ to a lower, healthier sugar threshold. Thankfully, there are plenty of resources on how to go about making these changes in your diet if you want to change. Here’s a link to a resource page which will give you lots and lots of blog sites, books and videos to watch to continue your education on these subjects. By all means, if you have any questions or comments, please post them below as we love to hear how you benefit from the information we share. Until next time, thank you and Aloha! I’m a little confused — according to your second description of group 2, the children had no phytic acid plus supplemental vitamin D. That is the same description as group 3. Would you please clarify? Thank you! For clarity, group 1 ate a normal diet, plus oatmeal, and no vitamin D supplementation. Group 2 ate a normal diet plus supplemental vitamin D.
Group 3 ate a diet of foods low in phytic acid plus supplemental vitamin D.
Thank you for posting and asking! Great article! Thanks for all the good information and new understanding of what causes decay and how. Re: Vitamin D supplementation….which form? Straight up Vitamin D or D3 or ? And, do you have a ‘brand’ that you would recommend? Thank you for posting this series – very helpful. Also – loving my bass tooth brush and the mouth blend! Thanks for the kind words of support! We personally take Green Pastures products for vitamin D and other fat soluble vitamins. That said, we also live in Hawaii which provides us an ideal environment to get direct sunlight throughout the year. The only issue we have with Green Pastures products is that most people we talk with don’t take enough of them (due to their high price tag). I don’t see anything wrong with taking a mix of products to ensure that you are getting sufficient fat soluble vitamins. If I were going to supplement vitamin D, I would do so in the D3 form for sure. I don’t have any brand recommendations. Hi Will, Can you share how much and which types of Green Pasture Products you take? I currently take 1/2 tsp of the plain FCLO, 1/2 tsp of the skate and 2 of their X Factor butter capsules, but sometimes I wonder if that is enough… It is expensive but I want to make sure I take enough of it. I’m afraid I’m not very scientific about this. I started out taking 2 capsules of HVBO and 2 capsules of FCLO daily. Now I go about it a bit more intuitively. Sometimes I take up to 4 of each when I feel that my immunity could use it. Other days I don’t take any. I have found that I can feel when I have enough in my system. My teeth just ‘feel’ denser. I’ve learned to use this as my ‘litmus test’ to let me know how much to take each day. I hope this helps you along your path! Quicksiler Scientific’s Liposomal Vitamin D3/K2 blend is really awesome. Best when combined, and in an unbeatable delivery mechanism, nano-liposomes that absorb through the oral mucosa. Awesome! Thanks for sharing your professional experience here with us! We are familiar with Quicksilver as a company. In fact, Dr Shade is on our ‘to interview’ list. What about you??? Do you have some solutions you’d like to share with our community? Kari, I love my Bass toothbrushes, too. I actually use both the adult and child versions/sizes because each work well for different situations, plus I have a pretty small mouth. :-)Also love Brushing Blend and that the little bottle is so easy to take anywhere and everywhere. Great info, but could you please list the 10 best foods for the health of teeth and gums? Much better for me to learn about foods that are best, in addition to all of the things that are bad. I have begun to live on mostly lots of vegetables for the health of my teeth…losing too much all around energy, strength and weight. Thanks! Thanks for putting out this information! It was conveyed very well :). Thank you Sam! 🙂 Hearing that you think we conveyed it well helps as we are still ‘finding our voice’ in blogging! Thanks so much for all of your work and sharing it with us! I have to admit that I’m confused. I know that nuts and seeds are high in phytic acid. Does the process of soaking then and dehydrating help? And I have a 2.5 yr old son who loves soaked nuts and seeds. I can’t imagine that pretzels, crackers, Cheerios, goldfish or any of the other ‘children’s’ food is better. I’m at loss… Those are our snack foods that I always thought were healthy for us. ( except I keep blocking out the issue of phytic acid). We eat a whole foods diet and it’s mostly Paleo with exception of quinoa, buckwheat and some beans. Is there another type of snack that is healthier for us (besides the obvious veggie)? Thank you!! It sounds to us that you are definitely heading in the right direction here! We’re sorry for any confusion our article may have caused. Yes, it is our understanding that soaking nuts/seeds does help to convert the phytic acid and thus stop at least some of the mineral blocking quality found in these foods. You also have to keep in mind that nuts and seeds are also quality sources of fats and minerals themselves. In other words, we encourage their consumption, just being mindful that they not make up a staple in the diet (think a daily peanut butter and jelly sandwich). We all eat nuts and seeds in our home. Some of our favorites are pumpkin and sunflower seeds, almonds, brazil nuts and especially mac nuts :). Nothing quite like a fresh mac nut! I hope this helps you and confirms that you are definitely on top of the info available. I think there is nothing quite like watching and making adjustments real time. What I mean is if, for example, your son shows signs of decay, you can comb the family’s diet and reduce/eliminate the probable culprits first. In this way, the knowledge you have gathered through your research can provide you with the wisdom how to adjust if need be. I hope this helps you and yours along your path to optimal oral health! Dr. Price’s “one healthy meal a day” miracle is consistent with my experience as a practicing chiropractor. Small positive changes in lifestyle often have big beneficial changes in life, and make the next changes even easier and more fun. My wife and I long ago discovered that an electric grain mill and a bread maker sharply reduce the monetary costs and time spent in preparing high quality breads, biscuits, pancakes, waffles, muffins, cakes, and cookies, while sharply improving the flavor and nutrition. Now we are experimenting with sprouting beans, plus sourdough and slow rising breads in order to break down the phytic acid into abundant free phosphorus. Gradually we are finding easy ways to work with these. The first real delight was making light, delicious waffles, pancakes and biscuits in the morning with what many refer to as the sourdough starter “discard”. Discard indeed! Not on your life. With these changes, together with Gum Pocket Syringing as Will and Susan teach, using the tools that they supply, and brushing with their new remineralizing tooth powder, my repeated dental examinations are documenting an almost complete resolution of redness, swelling and bleeding of the gums, together with many gum pockets healing and growing back up, and also tartar loosening its grip. In addition, a couple of recent infections have demonstrated that my immune system is more robust than I have noticed for several years. Thanks, Will and Susan, and all of you other contributors who are making this a living web community. Just had my 4th oral exam in 18 months, including follow up gum pocket and gum recession measurements, since beginning to use remineralizing tooth powder, together with 5-10 drops of 3% food grade hydrogen peroxide in the mouth. I’m 67, and my gum pockets are continuing to heal in, contrary to what my dentists told me. My gum recession is growing back, too. The old swelling and bleeding resolved within the first few days. I use the OraWellness bass brush, and frequently a drop or two of the HealThyMouth blend. To be fair, I also frequently (now daily) practice gum pocket syringing (GPS) as per OraWellness advice. That get’s oxygen-rich hydrogen peroxide, minerals, sea salt and other anti-microbials into the bottom of the gum pockets, where the anaerobic, protein-eating bacteria are busy building tartar and feasting on our gums. I got lazy and slacked off on this 5 minute daily exercise for a few months, and saw a definite slowing in my improvements (even some worsening). Overall, I feel that my experience is proving that dentists’ predictions are TRUE (1) – for those who eat SAD (the Standard American Diet), soak their teeth in sugar drinks and snacks between meals, and SCRUB their teeth with store bought tooth pastes. For those of us who follow a more rational path, the mouth can and does heal itself with a speed that is surprising. Likewise the body generally. (1) My dentist told me in a dream a few months ago that my request for fillings that are semi-permeable, like the natural enamel of our teeth, is not realistic. They would simply allow the SAD and constant sugar bath to be drawn INTO the tooth, causing rapid failure of the fillings and more decay deeper in. Who would get the blame? The dentist would! I got the point. When I told my dentist (Devon Quinton), he looked down and nodded, but apparently did not remember being in my dream. I’m learning more with each new article, and I thank you for this series. I have a question about Xylitol. It has been promoted as being good for teeth and recommended by dentists? Is this correct or is there more to the story? Hehe, you read our minds on an upcoming article! 🙂 We have plenty to share about xylitol. I think I’ll leave it there for the time being and keep you in suspense. 🙂 How’s that for a cliffhanger? I’ll put that article toward the front of our ‘to be written’ list! There should be another group that ate phytate containing food that has been soaked in water overnight. Soaking is suppose to reduce the phytate content. We don’t eat grains be we do eat a lot of nuts that we soak. Agreed M. It would be helpful to test this fourth option. Thank you for this article. Where can we read the original Mellanby study, please? And what about the other benefits of phytates? Having good Vitamin D levels and avoiding refined sugar can only be beneficial, but it seems avoiding phytate-rich foods may have a few downsides. Thanks for this contrasting info Anita! on a study done almost a century ago! I also hazard to guess that many of these testimonials on this site are from folks who just started taking better care of their teeth due to bad reports, rather than quitting phytic acid rich foods. In other words, since they started focusing more on their teeth, spending more time and energy keeping their mouths healthy … they then got better. Having said all that, I do believe mineral deficiency is a problem. Vit D, K, and Magnesium seem to be key factors and are justifiably supplemented it seems. This seems to consistent with all doctors and nutritionists, either self-claimed or registered dietitians. You’ve made it clear that sugar disrupts blood phosphorus levels. But when you say sugar do you also mean honey, maple syrup, molasses, raw cane syrup? I need to know so that I can make good choices. Thanks for the great article. I’m afraid so. 🙁 While there are some redeeming qualities with maple syrup, in that it has some minerals available, it’s still an insult to the system and still impacts blood phos. Why was the first group without Vitamin D ? That should have been the constant in all 3 groups. The lack of Vitamin D could be a significant factor. Excellent thought Jennifer! I completely agree that it would have been wiser for isolating the various impact of each of the factors if they had supplemented vitamin D for all 3 groups! first off, most of Mellanby’s studies took place between 1919 an into the 20’s no one acted upon the findings? was the addition of artificial Vit A and D to pasteurized milk ( or back then for the poor people milk swill) the only response? second i grew up on “healthy food” as in most came from our own garden, our milk was not pasteurized and compared to today we ate little sugar and real butter, yet i always had cavities!!! our breakfast was usually oatmeal! makes me really wonder! third the “normal diet” back then in England was actually what? i doubt they ate lots of sugar; grains on the other hand i can see; according to traditional food prep did they not soak any??? While I don’t pretend to have all the answers (by a long shot actually as we are life learners and always taking the mind of the student), I do believe that much of whether we experience tooth decay or not depends on what foods we consume on a regular basis. While we’ll never really know, eating a bowl of oatmeal for breakfast (as it has been prepared in general in modern society) does set the body up with a wonderful leaning toward decay. My guess is the oats they ate back then were prepared in a healthier way that most of society consumes oats these days. Traditionally, oats were eaten as a fermented food. Every kitchen had an ‘oat drawer’ where the fresh oats were mixed with some of the last batch (thus carrying forward the microbial innoculant from the last batch) and left there to ‘ripen’. Then the days oats were drawn from that bowl and cooked for the meal. Regarding sugars, while I do think that some forms of sugars have more redeeming qualities than others (maple being my personal favorite), they all still impact the blood phosphorus similarly. Yes, eating sugars with quality fats will slow absorption. But we mustn’t justify the nefarious way sugar can creep more and more into our diets by thinking that just because we are eating maple and honey, we’re eating a healthy amount of sugar. Dare I say it, I think we all are sugar addicts. Some of just know that we’re addicted so know to keep our eyes on a close watch on consumption. One thing I would like to know is what kind of oatmeal these kids ate and how it was prepared. Were they organic, steel cut oats? Quick oats where you just add water? Any sugars or sweeteners added to their oatmeal? etc … This all plays a role in the nutritional quality of the oatmeal. Most importantly … grains and nuts traditionally have been soaked before eating – something that very few people actually do these days. The soaking breaks down some of the hard-to-digest proteins, making assimilation much easier, and neutralizes phytic acid. Phytic acid is an anti-nutrient that prevents absorption of minerals such as calcium, magnesium, iron, zinc, and copper. So, unless these grains were presoaked, they were being given a high dose of phytic acid that otherwise would and should have been removed. Our culture has lost touch with traditional methods of eating and it’s no wonder we have so many ailments as a result. We are quick to point fingers at certain foods but take things out of context and fail to understand the real cause. It’s not the oatmeal that’s the problem; its our inability to prepare them correctly. I recently discovered your website and products and appreciate the valuable information and resources. I just placed an order for some of your products, and I now read this article (along with a few of your other blog postings). Is there a discrepancy between avoiding/minimizing intake of nuts and seeds and either (1) the almond oil base in HealThy Mouth Blend or (2) the use of sesame oil or coconut oil in oil pulling? Great question! Thanks for commenting here. The reason why we look to keep nuts and seed consumption low is due to their mineral blocking phytic acid component. This function occurs in the gut. So, from our perspective, given that we are looking to use the healthy mouth blend as well as sesame oil for oil pulling in the mouth only, there is no need for concern. 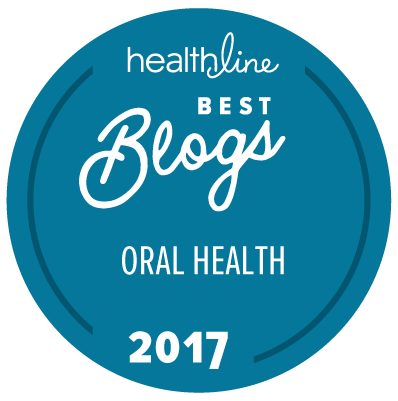 We hope this helps you navigate the path to greater oral health! Some people might think it’s better to sip on soda throughout the day, but every time those sugars hit your teeth the clock resets and your enamel needs another 30 minutes to reharden. It’s better to drink it up and move onto water! Thanks for your comments here! While we don’t think that drinking soda is a part of healthy life choices, we agree with your logic here. If a person is going to drink a soda, do so at one sitting then rinse with water to help normalize pH in the mouth. As always, your input on our blog is very welcomed! Follow the advice of Nourishing Traditions and eat only sprouted or soaked grains and nuts to avoid the phytic acid issue!! So does all fruit fall into the sugar category? I love fruit and eat quite a few of them a day. What about the health benefits and vitamins from fruit? For example, right now pomegranates are in season, so I love those, along with persimmons, and others. Is there considered a “proper” way to eat fruit? Because if they need to be eaten with fat then either they are cooked or eaten with a high fat meal? But I usually eat them as a snack by themselves. Thanks! While there are substantial nutritional benefits of many fruits, we think they deserve to be carefully watched. We have seen so many times our internal ‘sugar demon’ rationalize eating more fruit ‘because it’s good for us’. So, just keep an eye on quantity. And, not all fruits are created equal! Pomegranates are a fabulous source of antioxidants and really can’t be in the same discussion with, for example, a box of commercial raisins that are loaded with sugar and fluorinated pesticide compounds. Quality, nutrient dense fruits have a place in a healthy diet. Just watch the quantity to make sure your ‘sugar demon’ isn’t creeping more and more into the diet. Thanks for this informative article, and while it does not answer all the questions that arise particularly about the study details. The implications are pretty clear. With all the “so called technological” advances in medical science, it is amazing how little is still really known about the body, dis-ease and its real cause. However, with the excellent work being done by inquisitive individuals and like OraWellness doing their best to give balanced views, we can get closer to the truth of what is true is appropriate for us. Keep in mind, no two individuals are the same, while there are basic rules that help our bodies thrive, one must be inquisitive and self aware to determine what is best for themselves. Thanks for all the excellent information you are sharing. Keep on searching for the truth and expose the incorrect information that is so prevalent in mainstream media and science today. you put into creating them, and also commenting on people’s responses! What a great gift you offer us!!! Not only does soaking nuts release the phytic acid… it also releases the enzyme inhibitors within the nut, so the nuts enzymes are available to us to help our body digest them. It is important to soak in quality water at room temp. I stir and rinse every few hours and recover with water, depending on my schedule. Make sure to stir and rinse very well before eventually putting them in the frig, covered with water. I soak mine in a large glass and do not cover the glass in the frig. They are good for up to a week in the frig. If the water looks a bit cloudy, just rinse, rewater and put back in frig. YUM!!! Thank you for stopping by to ask us! I hear you. Breakfast is a tricky one because our culture is so into cereals. I think the best discussion on this subject that I’ve read came from the excellent book, It Starts With Food, where the authors suggest that rather than think of breakfast as breakfast, that we think of it as ‘meal #1’. If we continue to think of ‘breakfast’, the child in each of us wants to have our favorite strawberry pancakes or whatever completely nonsensical ‘un food’. The research does clearly point to the fact that eating proteins first thing in the day helps to maintain cognitive focus in the later morning. So, rather than trying to figure out what’s the best breakfast, perhaps reframe the thoughts to be ‘what can I eat in the morning that will give me the best nutritional start to my day?’ I find that if I eat something sweet in the first meal, my desire to eat sweet foods is much, much stronger through the day. However, if I have a savory first meal rich with quality fats and moderate protein, I’m satiated for hours and tend to not be hungry until mid afternoon. I wish I could simply answer your question, but I really can’t. Each of us has to find foods that work for us. For me, I’m a big fan of a bowl of hearty soup for breakfast (normally leftover from previous days). I hope this helps to begin your search for foods that nourish you in the morning. I’m glad someone brought this up. These articles on this site are very bias. The phytic acid thing has been basically debunked. The reduction in absorption is negligible. AND!! phytic acid has its own unique health benefits—ill give one source to carry on with the theme of bias info. I started eating a mostly fruit diet in January 2013. I still consume mostly fruit–more than 50% of my daily calories are sourced from fruit. AND I stopped brushing my teeth in the morning, but still brushed at night. Also, I was doing no other oral hygiene practices. Simply brushing once a day, at night. OMG, my oral health most have plummeted! …..NOPE! No changes. I continued only brushing once a day for over 2 years! I never rinsed my mouth after eating and I never flossed. I was visiting the dentist every 6 months and they noticed no changes. Where am I now? Well, June 2015 rolled around and this was the 2+ year mark of very poor oral hygiene plus eating pounds and pounds of fruit EVERYDAY. I noticed multiple black specks on my teeth. And my mouth hurt most mornings. I observed them for weeks and they didn't go away which means they were not just specks of food. One of them was actually getting big, bigger than a dentist pick. At this point I started brushing twice a day, flossing, oil pulling, and rinsing my mouth after eating. All but the largest cavity went away within 2-3 weeks. Mouth pain went away after 3 DAYS! Now we are approaching August and I went in for my 6 month dentist appt. I indeed did have a cavity; the largest one mentioned earlier. He wanted to drill it and fill it. I declined and it has been getting smaller ever since. Don't get me wrong, I am grateful this site exists as I have been interested in the most optimum oral hygiene since last summer and because of this site I will be taking another step forward by beginning to use the bass brush and essential oils. Fruit is good. These vessels we live in are arguably best suited to eat fruits. But the argument is a moot point as all sides have gathered/fabricated evidence to make their position look like the only correct one. I eat oatmeal every day, but I soak it overnight with active sourdough. I wanted to have a lab analyse the phytic acid content of this soaked//fermented oatmeal, but they were asking $500! to do the testing. In fact we could learn so much by analysing the chemistry of our food and blood. Agreed on the differences of soaking oats vs eating them unsoaked. Thanks for bringing this here! Thanks SO much for sharing about your experiences with us. Really, really excellent stuff all packed into your life experience here. Not only are you helping your family avoid the most common cause of tooth decay (snacking on sweets between meals), you’re also helping them regulate greater blood glucose in their systems, which is HUGELY beneficial for their health! While none of us like to feel hungry, it’s critically important that we do. Otherwise, our systems lose the innate ability to determine hunger and give us signals. Plus the obvious damage to blood sugar regulation caused by never allowing our bodies to have to regulate low blood sugar. Wow! I’ve never heard it put that way. That gives me a powerful new way to think about what’s happening as I struggle against my sugar addiction/habit. Low blood sugar is a gift, giving the body a chance to exercise its blood sugar regulation skills on the side of the spectrum that it doesn’t usually find itself in. Thank you for your site. I have a dozen crowns 🙁 and a few root canals (I’m 60 and otherwise in excellent health, very active and full of energy), and I am making all the changes you’ve recommended. I have a comment on the study of the 3 groups of children. The comparison of Groups 1 & 2 doesn’t prove that oatmeal was the cause of decay in Group 1, since Group 2 supplemented with vitamin D. It would be more telling to see the results of a group that ate the same diet + oatmeal + vitamin D, to really know for sure if oatmeal itself was the culprit, or if it was the lack of vitamin D in the diet. I have virtually eliminated all sweets and breads from my diet — except for a rare treat now and then — but I really REALLY miss my daily oatmeal to which I added lots of butter and whole-fat yogurt! I limit it to once a week, and be sure I avoid any other phytic-acid-containing or sugary foods that day. Also, I miss my daily apple which helped keep me regular. The apple is my only “sweet” I ever eat. That being said, we do enjoy chili w/beans and bean soups 1-2x a month, but I soak the beans in advance then store them in the freezer until ready to use. Am I correct that by making the soup from soaked beans (according to the Nourishing Traditions recipe) that I don’t need to be concerned about their phytic acid content in the soup? What about Stevia? Seems like that wouldn’t have the same affect as regular sugar. I like to put sweet drops in my coffee ? Hi, thanks for all this and the ongoing discussion. What is a cavity hardening that you refer to? You’re right. Dr Price did find peoples who consumed fermented grains. The way you’re prepping them will substantially mitigate the downside to eating oats. Just be mindful of quantity and you should be good to go. I am so confused – Other sites say Oats are a very healthy food. And they fill you up so you are not snacking on junk food to fill that gap…..
Are you telling us to never eat oats? Or to eat them and also have VitD tablets? I like my rolled oats (made with water) for brekkie – Will I now get loads of cavities? If I ate them and rinsed my mouth afterwards with water would that help? Thank you for reaching out and asking such precious questions. There is so much confusion around diet in our culture. It’s a shame really because how to nourish ourselves is such a critically important body of knowledge for every human to fully grasp who wants to live a healthy life. Oats can be eaten, but modern prep of rolled oats isn’t going to do much to provide us any healthy support. Traditional peoples did consume oats, but they fermented them, for many days in some cases. We’re talking pre-refrigeration here, so fermentation was an important artisan skill everyone understood to manage a kitchen in the home. You don’t have to eat junk and get fat. And you also don’t have to eat oats on a daily basis. It does take some work and study, but it’s very possible to make quality foods. One place to start is to shift the thinking of the meals in a day from ‘breakfast’, ‘lunch, and ‘dinner’ to ‘meal 1, 2, and 3’. In this way, we can outgrow the ‘normal’ or culturally expected foods for each meal. For example, one of our very favorite ‘breakfasts’ is a cup of soup leftover from the night before. It’s simple, quick, warming, helps to ignite the digestive fire, all things a breakfast should be. It’s savory rather than sweet, which gets the tastebuds off to a healthier start for the day. I encourage you to download our free ebook, “How to stop tooth decay and remineralize your teeth”. It’s free and loaded with helpful gems to assist anyone looking to navigate this path to a cavity-free life. With all due respect, that really doesn’t make any sense. Taste buds don’t have to “recalibrate” back to what sweets taste like. And most people are less likely to crave sweets if they don’t eat sweets. This does not mean no carbohydrates. But does refer to any sort of unnatural “sweet” taste that is not found that way in its natural form. Though overeating lots of particularly ripe and sweet forms of fruit at the expense of other foods could possibly have some minor similar effect – – especially without sufficient corresponding exercise top burn it off — could possibly have a little bit of the same effect on taste cravings as eating sweetened food. But when it comes to “sweeteners,” if one ate food only as naturally found — that is, with sweeteners not added to food; sweetness wise it is what it is and what sweetness there is when one eats this way is what the taste buds naturally pick up ( which “eating sweets to re-calibrate” only slightly dulls) — there would be less to no physiological craving over time. The notion suggested above that you crave “sweets” (something with added sweetener) because you aren’t getting any (rather than the opposite, although small amounts – once a week – leads to less craving than larger amounts) is a nice thought. But its physiologically nonsensical. It may actually work for you (or you may think it is versus simply cutting them out). But if so, it would be because of a chosen thought process, not your body’s actual physiology, and contrary to the whole point of your statement that the body needs to or craves “sweetened things” and needs to be so satisfied ( to “re-calibrate”). Again, it does so need more because you DO eat them, than not. It is your brain’s thought process – the giving of occasional reward (and the belief that “sweet” is a reward) — that is being re-calibrated if this works while just giving “sweets up” does not (or you haven’t as enthusiastically tried the latter). Regarding the phytate matter, the website “I hate pseudoscience” (link just below) made a big error in reading comprehension, assumption and logic (and probably others, I only started perusing from that point on) — which in the online age is nearly as common as the air we breathe, and that commenters are normally immune to, which is why remarkably presumptive and unsupported logic runs amok in even otherwise ostensibly “objective, logical and science based” articles such as this one at IFHS https://hatepseudoscience.com/2014/03/07/dental-quackery/ — an error that somewhat undermined the same objectivity/lack of bias that the author was trying to impart. But the just linked article otherwise shared at least some very good information on the subject, as well as some detailed information on the 1932 Mellanby study, that offers a conflicting, and at least in some part, valid, view. I only glanced at the antipseudoscience article, but since this article is on this same subject you or others reading it may want to check it out. From a very quick look at the Mellanby study itself (here in its entirety https://www.ncbi.nlm.nih.gov/pmc/articles/PMC2520490/pdf/brmedj07379-0001.pdf you might enjoy reading it), I can say there seem to be some further considerations (i don’t know if AHFS covered these or not, didn’t see them in the parts of the article I did peruse). For reasons of practical compliance, they chose kids already in institutions and, at least for part of or one of the studies (maybe more), confined to beds. That throws a bit of a monkey wrench into too much conclusion rendering re’ human physiology, because it goes out of whack, particularly for kids, when they don’t get sufficient natural movement and activity. Also, why were these kids bed bound? The kids were also very young (5 – 6 years old) and so their teeth were actively growing, in some cases the early stages as their baby teeth were being replaced, and which might be very different from the state of the adult tooth. Also, if they were in institutions had they previously been undernourished? Etc. Taking out cereal from one of the meals in the 1930s removed maybe their leading source of carbohydrates (or, potatoes aside, higher density/calorie), and possibly the one where the longest period of time goes until the next (if any) brushing (usually after dinner/before bed). (Also, it appears enormous sweetening of cereals may not yet have been fully in vogue (? ), but cereals back then even still had added sugar as well.) Most of the substitute breakfasts were of eggs. The sample size was also very small. I’ll add one last thing. IFHS may make some mistakes — and I don’t know if this is the case; just started researching it and bam, found their article and yours — but the site outright states that we now know phytates are not bad for teeth, as if it’s “fact.” And that separately in the absence of food, phytates are actually a little beneficial (as part of a cleaning, binding process I think). I DO know 2 things from researching phytates in general – non teeth related – in the past. 1) The extent of human knowledge is still limited here. 2) What is known is not really known, as website after website parrots the same claims, giving the impression that “thousands of websites say” when in fact it was one or two sources and an endless army of parrots that got their information from any of the earlier sources in the chain. (routine online). Yet there is too much research and direct, as well as empirical, evidence supporting the benefits of many plant foods thought to contain “too much phytate” and plenty of support for the idea that at least for many humans’ physiology, depending on amount and other nutritional and health factors, phytates are neutral to positive for health, not negative. This despite the mountain of copycat or secondary/tertiary source articles – at least that I saw a while back – that emphatically state the opposite as settled fact. If you’d like to continue the conversation I’d be happy to, you can reach me at the email provided in order to comment. Have read a few of your articles from time to time and many seem pretty sound, and more informed than the average blog, and fairly logically written. Great reply John. Yes, I see these phytic acid claims saying the same thing regardless of what website it’s on; all relying on this very old study. There are far more studies done on humans (as opposed to in vitro or animals) supporting a plant based diet than any (modern) studies showing any empiracle evidence to the contrary. Amazing to me at how many are on the band wagon against phytic acid; especially given the apparent lack of evidence. Quoting from a doctor’s book who lived a century ago …??? is minimally persuasive, to me at least. I also hazard to guess that many of these testimonials are from folks who just started taking better care of their teeth due to bad reports, rather than quitting phytic acid rich foods. In other words, since they started focusing more on their teeth, spent more time and energy keeping their mouths healthy … they then got better. Having said all that, I do believe mineral deficiency is a problem. Vit D, K, and Magnesium seem to be key factors and are justifiably supplemented it seems. I don’t post comments much, dunno if my comment got posted. (It was long, gave a lot of info on the Mallenby study and other aspects of “sweet cravings.”) I didn’t see any notification any indication it was being moderated or anything. So maybe it didn’t post. Dunno. At any rate, just started to research phytate and teeth (the research that first led me to only the aforementioned (if my comment here was posted) hatepseudoscience article, and your article. Don’t know if the study was good but on its face suggests phytic acid is good for teeth, not bad. (or at least has some possibly good qualities). More important, it does seem to reference a known cariostatic (preventing decay) effect from phytic acid. And it was from 1972. The idea’s not like a current revelation. To help curb any sugar cravings you can take magnesium. I learned about magnesium through Wellness Mama, a firm believer in Orawellness products. Thank you! Rebalance your oral flora today! All the tools you need to support your oral health. I am 34 years old with a 3 year old son. After my son was born, I began developing some major dental issues. Tired of being in constant pain and living on ibuprofen, I decided to give your product a try. I am truly grateful for your products and for what your company stands for! Thank you so much OraWellness for changing my life! I am in my mid-40s and had experienced daily gum bleeding and tooth sensitivity due to gum recession for over half my life. Using the protocol of OraWellness tooth cleaner, oil pulling, and flossing every day, I no longer suffer from any gum bleeding or tooth sensitivity. In fact, it appears as though my gums have begun to regenerate. Thank you OraWellness for your wonderful products and customer service! My 8- and 11-year-old boys are doing the best they can following the Bass brushing technique. I did it for them the first few times so they would know how it should feel. Our breath smells better and our teeth are so much whiter! My gums are bleeding less. Thank you! Thank you! Thank you! The dentist has confirmed that the decay on our son’s front teeth has stopped! Thank you for making such a wonderful product!